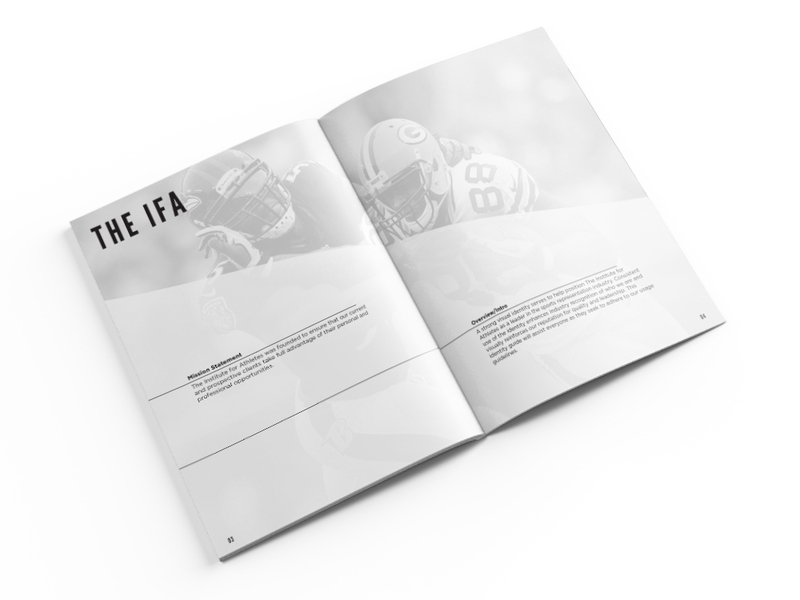 The Institute for Athletes (IFA) is a full service sports representation firm that has negotiated over $500 million dollars in player contracts. Building off of the company's current logo, Joba designed an interior experience and brand identity that unified IFA's image. This unified brand created a modern look with athletic vibes. 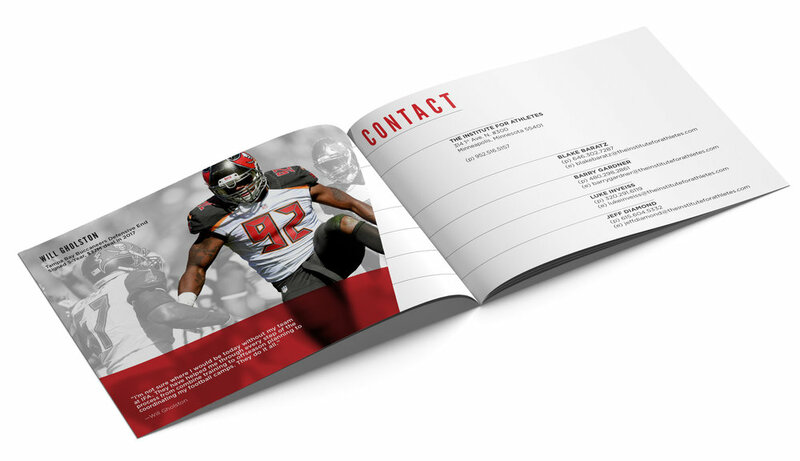 Joba also serves as IFA’s in-house design team, providing full service graphic design support to IFA and a number of their NFL and corporate clientele. IFA came to Joba because they loved our style, and have continued to work with us because of our ability to taper our style to their various needs. We approach each project by learning the nature of the project, understanding the intent and targeted audience, and gathering available support materials. Our weekly team meetings provide an avenue for both teams to briefly identify and review progress on long term projects, as well as those that need a rapid turnaround. Our iterative design process ensures IFA is pleased with the final results. IFA wanted their brand to better reflect their elite clientele. They came to us with a logo and color palette and wanted Joba to provide supplemental branding and marketing materials utilizing their current logo, as well as standards for use across various platforms and brand collateral. Taking IFA’s current logo, we were able to expand their materials from a logo and color palette into a full brand system. We built the system around IFA’s client-focused structure, using on open grid structures and dynamic treatment of photography along with a focus on typographic scale to carry IFA’s message from page to client. Joba provides continual design support for IFA and their various clients personal and professional needs. These projects include social content, event flyers, sponsorship and client recruitment decks, merchandise, and various other branded materials. IFA recently moved into an industrial building in beautiful downtown Minneapolis. Thy asked Joba to creative direct the branding elements of their newly renovated space. Implementing elements from the brand, we curated a physical experience that would allow clients to interact with the space and brand intimately.